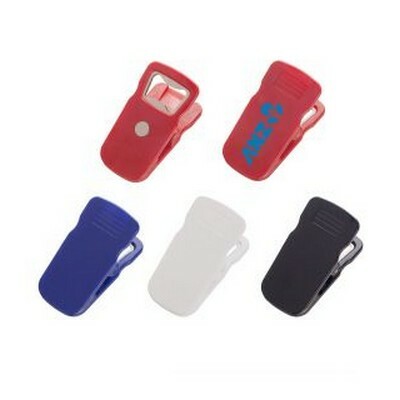 Features: Clip up your notes with this magnetic clip which also has a handy aluminum bottle opener. Available in 5 colors. Price includes : 1 COLOUR 1 POSITION PRINT. Setup is included.